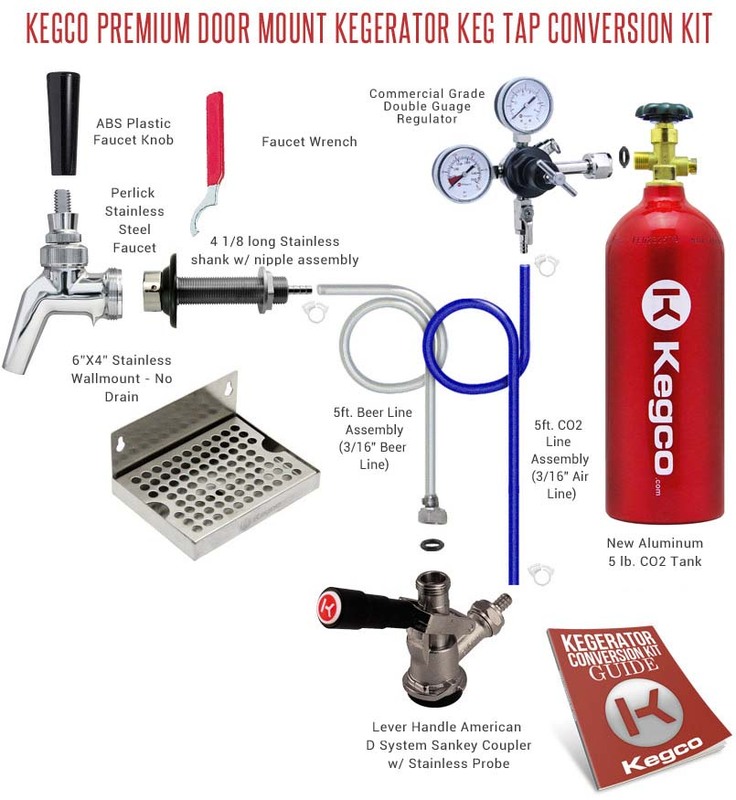 Ensure that your draft beer touches only sanitary stainless steel from keg to glass by converting your refrigerator into a keg beer dispenser using Kegco's Premium Door Mount Kegerator Conversion Kit! Made up of high quality parts like a stainless steel Perlick faucet, stainless steel shank, stainless steel coupler probe, and stainless steel beer line fittings, your finished kegerator will be suitable not only for dispensing ice cold beer, but wine, kombucha, and iced coffee as well! Other premium features include a lightweight 5 lb. CO2 tank made of high strength aluminum alloy, a commercial grade dual gauge regulator that allows you to monitor both CO2 pressure in your keg and CO2 volume in your tank, and a stainless steel drip tray that collects drips and spills for convenient clean-up.